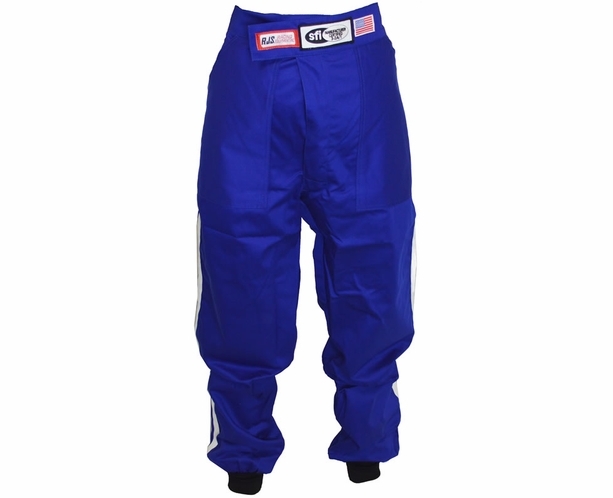 These RJS Racing Pants is Kids' Sizes 1-Layer SFI 3.2A/1 Safety Rated Jr. Dragster Qtr. Midget Pants. Race Pants made with 1 layer FR cotton fire retardant material. RJS standard style solid color with 1-1" white ribbon trim down outside legs.